certified For Use In Potable Water Applications. 1/4 & 3/8 are typically in Stock and available at the price listed. All other sizes that are not in stock, may have a higher or lower price depending on current market at time of order. Please click here → for Current Copper Pricing to confirm pricing prior to ordering or try using our online chat/messenger at the right bottom corner of the page; at which time we will update the website. Ips247.com has always offered Copper Tubingas an installation option for the Old School Tech. 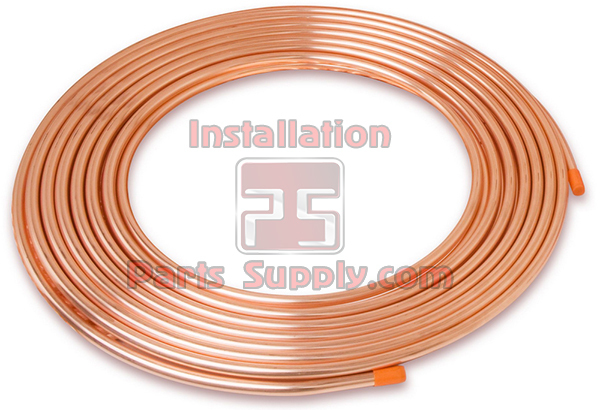 Copper tubing is most often used for the supply of hot and cold tap water, and as refrigerant line inHVAC systems. There are two basic types of copper tubing, soft copper and rigid copper. 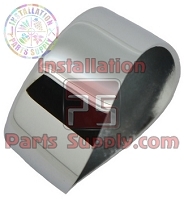 Copper tubing is joined using Brass Flare Fittings, Brass Compression Fittings, , or solder. Copper offers a high level of resistance to corrosion, but is becoming very costly due to the fact the Copper Industry is a very dynamic andrecently volatile industry due to Domestic Copper Shortages, EPA Regulations resulting in Diminishing Domestic Production, and even more recently, changes in US Law.